You’ve been in an accident. It’s only a small one (you think) but you’ve bumped into each other. You were civil to each other after all, accidents happen, and you’ve exchanged details. But all the way home you’re thinking about the damage and how much it’s all going to cost. Can it be repaired or will it be a write-off? There are several factors which will determine the extent of the damage. It all depends on how and where you were hit from or hit someone else. Then you’ll need to determine whether the frame has been damaged in any way. If you have fully comprehensive insurance, the insurance company also have their own formula for determining whether a car is a write-off and it isn’t necessarily to do with the extent of the damage. 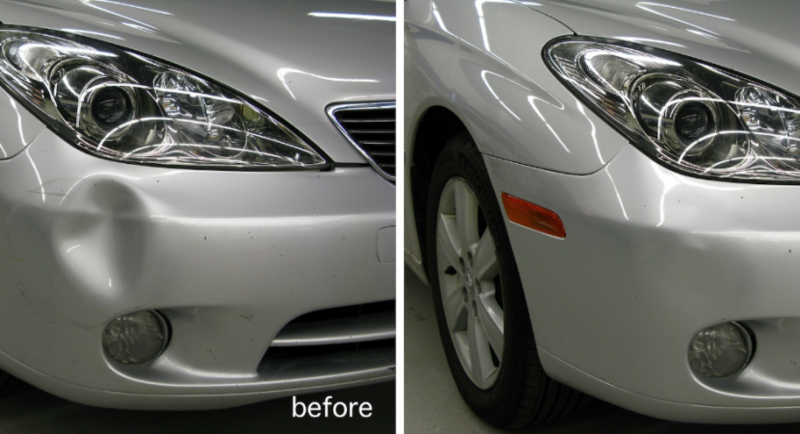 Dings and dents, although annoying, can be fixed. Dings are easier than others to fix as it’s usually just cosmetics. Generally, they’re half an inch in diameter or less and the paint hasn’t been chipped or metal exposed. 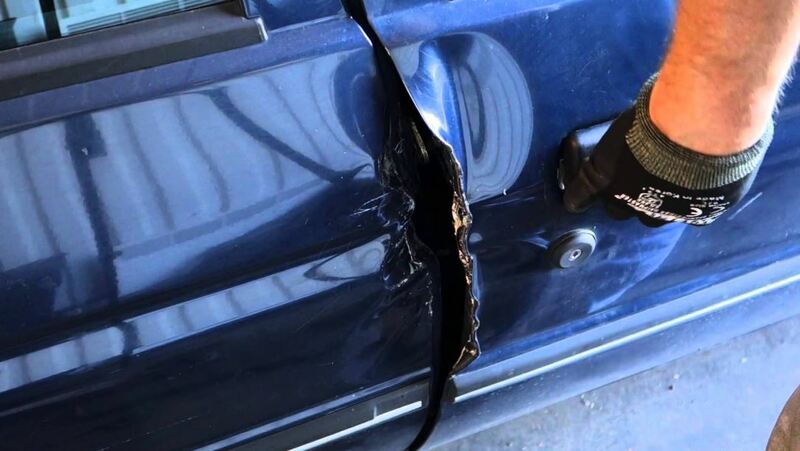 Dents are a little bigger and usually require more extensive work to be done. They could even require whole panels to be replaced, especially if the paint has been damaged. • Visual tilt or lean – if you park your car on a completely flat surface does it appear to tilt or lean to the left or right? Do the front and back wheels look out of alignment? If you answer yes to either of these then the frame may have been damaged. • Doors getting stuck – when cars are made they are made to fit together perfectly. Every piece has its place and everything is meant to work smoothly. This goes for doors. They should open and shut easily with no sticking or bumping. If you find that after your accident, they aren’t opening and shutting as well as they should, if in fact at all, you should get your frame checked. • Uneven gaps – there should be small, even gaps between the doors, hood, and bonnet. It’s reasonable to expect the gaps to have been affected in the area the car was hit, say around the bonnet if you were hit on your front bumper. However, if you notice the gaps are uneven around the boot area, this could mean that the damage has rippled through the frame. • Wheels out of whack – when you drive away from your accident take notice of the wheels. Is your car listing to one side or the other? If it is and you get them re-aligned, do they still seem not quite right? If the frame has been damaged the wheels will be difficult to align. 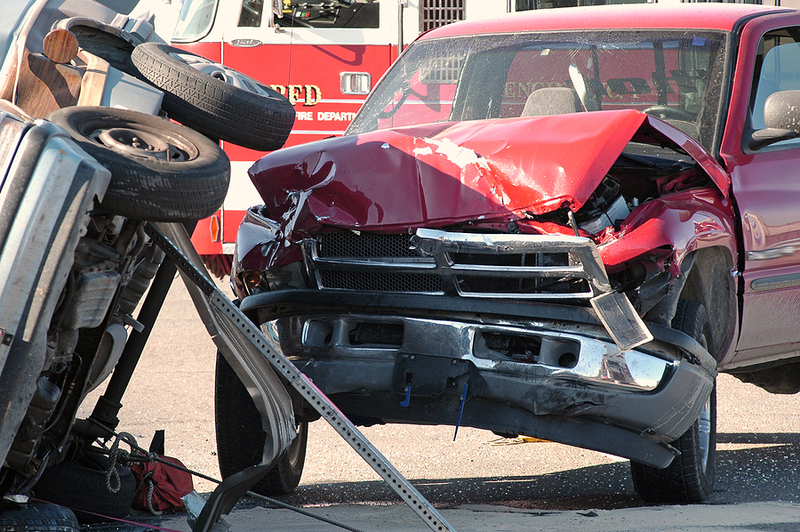 Insurance companies have their own formulas to decide whether or not car damage is a write-off. Unfortunately, this is less to do with the actual damage and more to do with the cost of repair vs the value of the vehicle. If they deem that it will cost more to repair it than the car is worth (including costs for a replacement vehicle whilst it’s getting repaired), they’re more likely to decide to write it off. That’s why it’s worth getting your own quote for repairs as you may be able to find a better deal and save your vehicle (if you want to of course).